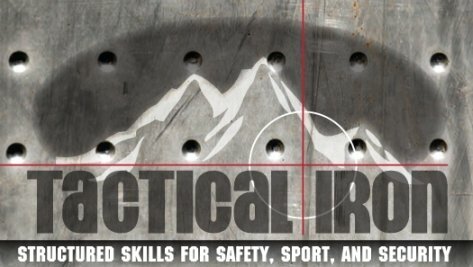 Tactical Iron - What should I bring? DO NOT bring live ammunition to the morning classroom. Please leave ammunition in your vehicle until the afternoon range portion of the course. NRA Member? Bring your card. We can also sign you up if you are not! Hearing protection 33db reduction ideal, we suggest doubling up. Ammunition for range must be brass or nickel cased. Steel or aluminum cased is not allowed at the shooting range. Ammunition is usually available at the shooting range for purchase. *No Live Ammunition is allowed in the classroom during the lecture for any reason! If you do not have hearing or eye protection, it will be provided free of charge at the range. Shooting range fee is $12 per student. Students attending the NRA Basic Pistol Course will receive a guide book with the course, and passing students will receive a certificate that can be used when applying for the Concealed Handgun Permit in your County Sheriffs Department. Passing the course does not guarantee that you will be approved for a Permit; this is up to the Sheriffs Department in your County and your criminal history etc. if any. Please contact us and we will provide you with what to bring prior to the date of the class.